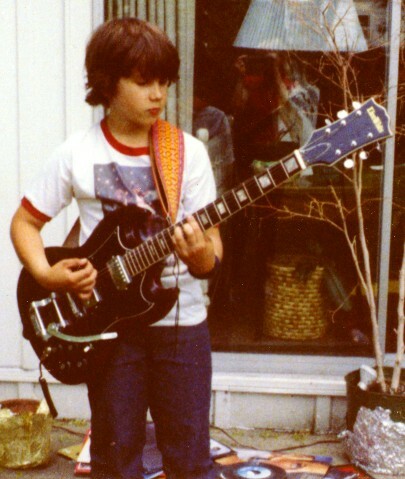 Me and my Gibson SG copy at my 12th ( or 13th? ) birthday. More of the Monkees, and Kiss Alive.